Is the lending faucet beginning to open? According to the most recent J.D. Powers & Associates survey in 2010, customer satisfaction with home builders has risen for the third year in a row to 826 on a 1,000-point scale – the highest level since the study was started in 1997. The 2010 survey was based on responses from over 16,400 buyers of newly built, single-family homes in 17 different markets. Most buyers had lived in their homes for four to 18 eighteen months. Not surprisingly, the most important takeaway from the survey was that those builders who actively listened to what customers wanted and were sincere about building ongoing relationships have endured the best. Alternatively, those companies which lost this consistent focus either had to scale back operations or leave the marketplace entirely. Between 2009 and 2010, customer satisfaction improved in eight of nine categories with the largest jumps in workmanship & materials, home readiness and the builder’s design center; the only factor not seeing an improvement from 2009 were the recreational facilities provided by the builder. But what was most interesting to me was that the importance of factors driving that overall satisfaction has shifted from 2009: whereas the ranking of price/value and warranty/customer service fell, it rose for the builder’s sales staff as well as the construction manager. This rise seems to have matched up directly with the renewed focus on retraining sales managers as well as hiring or retaining the most professional construction experts in the business in order to shepherd skittish buyers from contract through closing. Another big trend showing up in the survey results was the awareness of ‘green’ features in their homes; whereas just 31 percent of new-home owners perceived their homes as environmentally friendly in 2009, a year later that rate had nearly doubled to 61 percent. In some markets, builders such as KBHome are even marketing annual energy savings as a means to separate their new designs from the competition. J.D. Powers also surveys buyers on new-home quality alone, and that also reached a record high of 844 in 2010 after improving in 15 of 17 markets. The biggest remaining quality issues? Landscaping, kitchen cabinets and HVAC systems. In terms of the highest-performing markets in 2010, those included Phoenix, Las Vegas, Southern California, Orlando and Sacramento – all challenging markets in which builders are competing with a high level of discounted foreclosures.Since builders tend to be strong in specific markets, it’s difficult to hand one builder a national #1 ranking, but Shea Homes and Standard Pacific Homes both ranked highest in three separate markets, while KBHome ranked highest in two markets. Other builders which are well-known regionally also led the survey in their respective home markets. Finally, J.D. Power also ranks home appliances, and the winners for 2010 were the following: Samsung (refrigerators), Wolf (range/cooktop/oven), Miele (dishwasher) and Samsung (clothes washer and dryer). While the traditional brands seen most often in new homes such as GE, Whirlpool or KitchenAid certainly performed well in the surveys, it’s clear that Samsung’s renewed focus on improving its own quality has also paid off well for the company – and something smart builders could leverage to boost their own rankings. 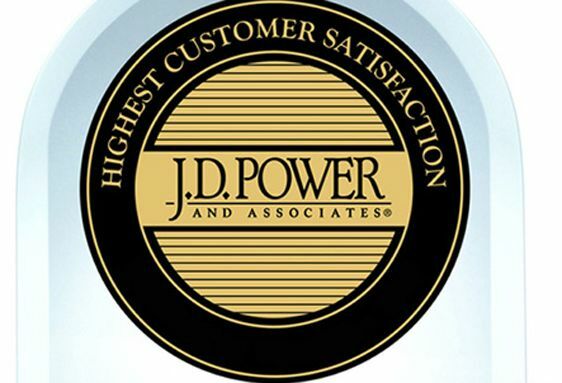 For the complete surveys mentioned, visit www.jdpower.com/homes. Click here to read the article in digital format (Page 20). California's Redevelopment Agencies: A Compromise? On the pro-redevelopment side, there is a legitimate claim that these agencies have played an important role in helping to build California. Developers wanting to invest in urban communities, particularly areas that are underdeveloped and need it the most, face daunting challenges. There are fights with local zoning boards, a potential lack of appropriate infrastructure for a specific project, and huge environmental remediation costs for urban land. Having a local redevelopment agency behind the effort can be an enormous help, as can the right to declare an area blighted, something a redevelopment agency has the power to do. Some developers go so far as to say that the soft money from redevelopment agencies is the "make or break" difference in a project. This is especially true for affordable housing projects, which California desperately needs. Redevelopment agencies also bring much-needed organizational principles to the table. A fancy entertainment zone will not be profitable without local draws such as sports venues and hotels. No single developer will be willing to make an investment unless others are willing to make them as well. Redevelopment agencies act to coordinate these efforts. They guide the collective actions of multiple developers, provide technical expertise and take risks where local bureaucrats won't. Without this kind of central, guiding force, many profitable projects might never start at all. This is particularly true for very large projects – think Downtown Los Angeles Live. When the protests in Egypt started to break out, I was actually on a tour of the Nile with my mother, who had joined me after we visited my older brother on a family visa to Saudi Arabia (since Saudi Arabia offers no tourist visas, I wasn't able to go with friends and no other immediate family members were interested in going). By the end of the week, we were back in Giza, a suburb of Cairo, but instead of going on sight-seeing tours of the city, we were told to stay in the hotel. By Saturday, looters had surrounded the hotel and the army was called in to protect the area around the pyramids. It was then, via WiFi that was still working in the hotel, that I emailed the John & Ken Show in Los Angeles, since I thought it'd be a great story for their radio show. The story I told them was what it was like to be trapped in that hotel, our experience at the chaotic airport, and how we eventually got out of the country. Could a double dip in housing kill the recovery? A rising number of foreclosures, tied to persistently high unemployment, is smothering housing's rebound. According to the Mortgage Bankers Association, there are already 4.5 million homes in some stage of foreclosure. Some experts believe an additional 1.5 million may be added to the pile this year. With that kind of distressed inventory on the market, it could take four to five years for prices to come back up, according to Capital Economics senior U.S. economist Paul Dales.